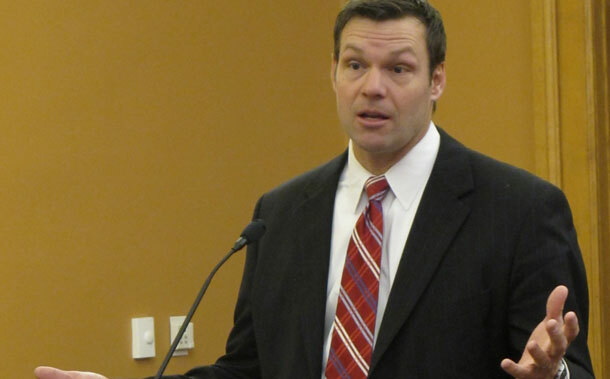 AP/John HannaKris Kobach speaks to the Kansas House Elections Committee about voter fraud. Kobach is the architect of Arizona’s S.B. 1070 anti-immigrant legislation. It’s time to get to know Kris Kobach, the author of Arizona’s S.B. 1070 law—which had a range of racial profiling features and was largely gutted by the Supreme Court yesterday. Unfortunately the one portion upheld by the Court may still encourage racial profiling by Arizona police during traffic stops and other minor infractions. Codifying racial profiling is essential to Kobach’s long-term strategy of “attrition through enforcement.” But just who is Kris Kobach, and what does he really believe?